18 Ways to Invest $25,000 | Passive Income M.D. One question I get asked quite a bit is, “What would you do if you had $___ to invest.” That number varies widely, but $25,000 is a number that is mentioned quite often, so I decided to go with that for this post. Unfortunately, that’s a hard question to answer because there are so many places that I’d want to invest that money. If I were pressed for one answer though, I’d probably put it into real estate crowdfunding. However, that’s a personal decision based on my current situation and goals. If you’re in that situation, first of all, congratulate yourself! While most of the country struggles to save anything substantial, you’ve put aside some funds with every intention to put it towards building your future. Delayed gratification isn’t easy. Trust me, when I walk in the parking lot at work and I walk by Porsches, Teslas, and Bentleys, it takes a fair amount of discipline to stay focused on the larger priority – financial and time freedom. So, in thinking about where to put $25,000, I think it first helps to define your goals and the time frame for when you need it. I’m going to assume you don’t need to touch it for a minimum of 3-5 years. Anything shorter than that, you should put it in a safe place (minimum volatility) and with easy access (liquidity). Okay, I know this isn’t truly an investment, however, it is in a way a guaranteed return – you’re saving yourself from having to pay future interest on that debt. For example, if you have credit card debt sitting there at an interest rate of 15-19%, there aren’t too many investments you can make to safely match that ROI (Return On Investment). If you have a significant amount of student loan debt, consider refinancing if that’s an option, then weigh whether it’s better to pay down that amount or invest. For a deeper discussion, check out White Coat Investor’s recent post, Pay Off Debt or Invest. Unfortunately, interest rates are still quite low for High Yield Savings Accounts or CDs. I still remember the days when you could easily find an online savings account that would pay you 5% APY. However, online savings accounts & CDs blow away the interest rates of brick and mortar banks. As of the time of this writing, you can get 1.3% APY and CDs are actually quite similar. The benefit is that it is the safest place to put your money and backed by the FDIC up to $250,000. However, considering the rate of inflation averages 3-4%, stashing away money in only a savings account long-term is similar to continually filling a bucket of water with a tiny leak in it. Over time, the purchasing power of that money is slowly diminishing so better to have some funds elsewhere as well. For some great current options, check out below. It’s an option that is mentioned quite online and I even mentioned it in 10 Perfect Passive Income Ideas for Physicians, but it’s one that I’ve become a lot less enamored with over time. The reason being that I haven’t had too much success with it. 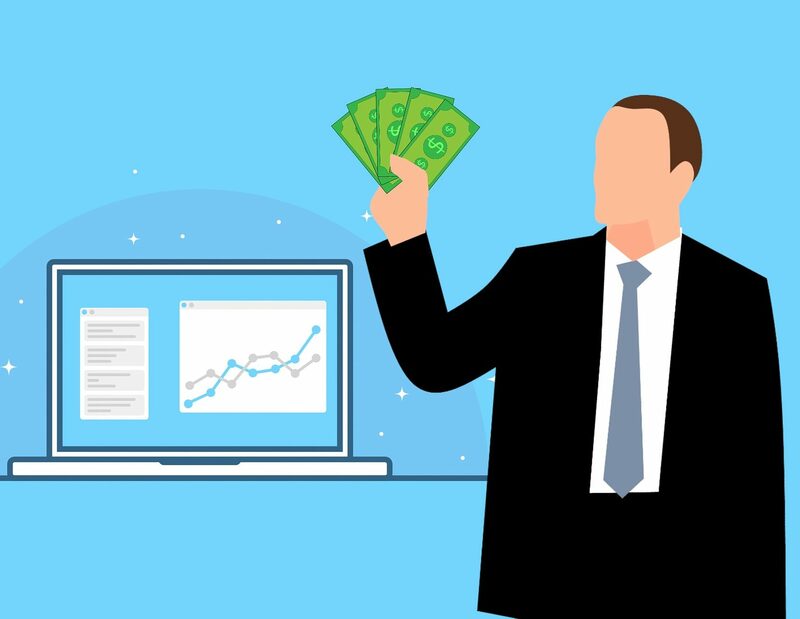 P2P in a nutshell – people are looking to borrow money, and investors get together online and loan money to these borrowers at a predetermined rate of interest. Essentially you act as the bank or credit card company. Monthly interest payments are deposited in your bank account. The two biggest platforms in this space are Lending Club and Prosper. Returns are touted as anywhere from 6-10%. Personally, I’ve seen much lower returns than promised and liquidity is poor (3-5 year holds). My biggest issue with this type lending is that the loans are not collateralized. The borrower can refuse to pay and the worst thing that happens to them is a ding to their credit. 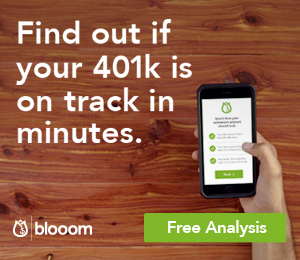 A 401k is a retirement plan sponsored by your employer. The contribution limit for individuals has been raised to $18,500 for 2018. The contribution is pre-tax, growth in the account is tax-free, and you pay taxes only when you withdraw the funds, hopefully after age 59.5, otherwise you have to pay a 10% penalty. 2018 contribution limits have increased to $18,500. Some people like to fund this early on in the year as a lump sum to take advantage of a potential whole year of growth. In short, a Roth IRA is funded by post-tax contributions that can grow tax-free and ultimately be withdrawn tax-free after age 59.5 or again you have to pay a 10% penalty. There are exceptions for penalty-free withdrawal for certain scenarios but I won’t go into them here. Contribution limits for 2018 are $5,500 unless you’re over 50 where the limit is $6,500. There is an income limit above which you’re not eligible to contribute to the Roth IRA. 2018 – hard cap for singles at $135,000 and for married couples filing jointly $199,000. For higher income earners, there is something called the Backdoor Roth which allows you to still contribute by converting a traditional IRA to a Roth IRA. The good thing is you still have the option to do this for the 2017 tax year up until you file your taxes. For a great guide on how to do this, check out Physician on Fire’s post, Vanguard Back Door: A Step-By-Step Guide. This is any account that isn’t designated a tax-advantaged account. Personally, I use low-fee brokerage accounts such as Fidelity, Vanguard, and Robinhood. Sure you could pick individual stocks, but I agree with Warren Buffet that choosing individual stocks and trying to time the market is a losing proposition. So if you’re not going to day trade and pick individual stocks, you should probably stick to broad-based, well-diversified index funds. How do you do that? Well, you can set up a three fund portfolio like the Wall Street Physician mentions here or you can choose one of 150 Portfolios Better Than Yours. You could also use a Robo-Advisor, like M1 Finance. I don’t personally have experience with them but I can see the benefit of using them, particularly with their low fees and ability to be hands-off. Many of you might have the ability to contribute to a Health Savings Account, depending on if you have a high deductible health care plan. Some of you might have heard this referred to as the Stealth IRA. It is considered triple tax-advantaged because you pay for it with pre-tax dollars, if you use it for health-related expenses you don’t pay taxes on it, and it’s able to grow tax-free in the account. The contribution limit has gone up in 2018, it’s now $3,450 for individuals and $6,900 for families. This is like a mutual fund that holds various real estate projects. Perfect for someone who wants exposure to the real estate market, but wants the investment to be totally passive. They typically pay higher dividends than stocks, however, transparency and liquidity are often lacking. 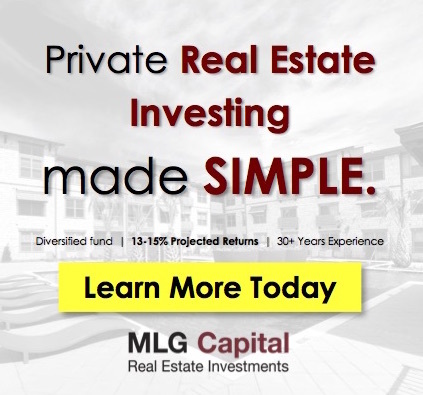 However it does allow for exposure to the real estate market with smaller amounts of capital. A great example of this is Fundrise. Unfortunately for many of you, $25,000 isn’t going to go too far in your own area in terms of buying real estate. However, in some parts of the country, it’s plenty to purchase cash-flowing rental properties. Purchasing a rental property out of your own area comes with its own set of challenges from not knowing the local market to not knowing whom to trust when it comes to building a local team. One option is to use something called a “turnkey company.” They help you find a property, assess the financials, and manage the property. Sure, they may come with some additional fees, but that’s the price you pay for their local expertise as well as convenience and time. There are many different flavors of turnkey companies like Norada and Roofstock, but the only one I’ve personally used is Homeunion/Investimate and you can read about my experience here. If you’re a DIY-type person, you can put the team together yourself if you’d like. Just make sure to assemble a team that consists of a local agent who knows how to think like an investor, and a good, reputable property management company. Investing in real estate is one of my favorite ways to build long-term wealth. However, as I mentioned, in some cases it requires a decent amount of capital, and definitely more than $25,000 in some areas. However, with the emergence of Real Estate Crowdfunding, there are now ways to participate in real estate debt and equity deals through online platforms. Expect to find returns anywhere from 7-20% depending on the type of deal you invest in. While mostly for accredited investors, there are some options as well for non-accredited investors with minimums as low as $500. I’ve personally invested nearly $300,000 so far in crowdfunding and will continue to do so in 2018. 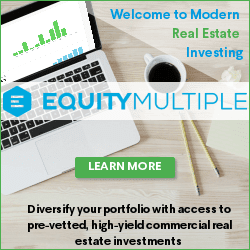 Sites I’ve invested with include EquityMultiple, RealtyMogul, and Rich Uncles. Here is also a list of my favorite real estate crowdfunding platforms. 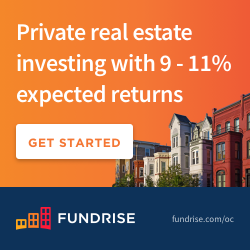 For an in-depth explanation on syndications, you can check out my Guide To Real Estate Syndications, but briefly, this is very similar to crowdfunding in that you’re able to pool your funds with other investors and invest with a sponsor who operates the deal. For most syndications, I’ve found that minimums are $25,000 or higher. Standard investment hold times are for 3-5 years during which dividends are paid along the way and your initial investment plus a shared portion of profits are returned at the time of sale. Some of these syndications can be found on some crowdfunding sites and others can be found through networking and by attending local real estate investor meetings. Investing in your own education is always a good idea. With the internet, there are so many free resources out there to try to help you out, like this blog. However, I’m not afraid to invest in my education by purchasing books, courses, and even getting officially certified (like a real estate license) to further some of my businesses. Check out My Favorite Investing, Business, and Finance Books. The 529 is a post-tax savings plan for your children’s education. While once limited to college & higher education, with the new tax law, a portion of it can be used towards private school education as well. Deposit limits are now $15,000 per individual per year or $30,000 for married couples in 2018. It’s also possible to front-load five years of contributions early, so you could contribute $75,000 or $150,000 as a married couple at one time. You could use that $25,000 to start your own business. Every business needs some beginning seed money. You may be able to use that to start your Amazon FBA (Fulfillment by Amazon) business. You could use some of it to start a Multi-Level Marketing business. There are plenty of other home-based businesses as well that you could start based on one of your many passions. You could even buy a franchise for $25,000 if you wanted. This is a business of sorts but I felt it deserved its own category. Thankfully a blog typically doesn’t require that much working capital. I believe the most important things you need to run a successful blog are time and dedication. It’s something that you could start on the side and grow it into a profitable side business. 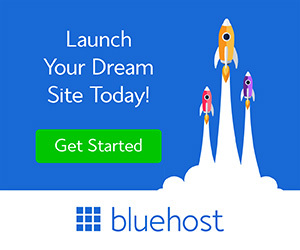 Think of a topic that interests you, buy a website domain (How to Start a Blog), and you could have it up and running within minutes. Just how profitable you ask? That depends, but if you’re genuinely interested, I do share my blog stats and income on my quarterly newsletters. Subscribe below for our quarterly newsletter, income reports, updates and more! Maybe you don’t have the time or desire to start your own business. However, maybe you do have the capital to invest in them. Well, then you can be an angel investor by investing in and owning a piece of a startup or small business. I’ve mentioned it in some detail here but with crowdfunding, there are opportunities to be an angel investor with smaller amounts through sites like Crowdfunder, AngelList, and SeedInvest. Obviously if one of the businesses turns out to be the next Uber, it can be quite lucrative, however, the chance of success is small so invest wisely. Personally, I’ve invested in some ventures to participate in some unique opportunities. One of the more interesting investments I made this year is a real estate-related game app, House Flip with Chip and Joanna Gaines from the well-known HGTV show Fixer Upper. I was a fan of the show and knew it’d be a fun game so when presented with the opportunity to invest with some friends, I went for it. It’s been one of the top games in its category since its release so it looks like I made a decent bet at this point. Like to roll the dice? Bitcoin was the talk of 2017 and Altcoins (other cryptocurrency like Etherium, Ripple, and LiteCoin) are supposedly the next to pop, depending on who you talk to. Or the market could crash and they could all be quite worthless. There are very smart business minds on both sides of this fence. The truth is, no one knows where this will go, so please do not invest money you cannot completely afford to lose. I finally jumped in with a small amount this year just to test it out and report back to the blog. Of course with the benefit of hindsight, I regret not jumping in 4-5 years ago when I first thought about it. Want more info on Bitcoin and what I would’ve been sitting on if I had actually bought at that time, check out What’s the Deal With Bitcoin? Last but definitely not least, a donor-advised fund is an investment account used to contribute to charitable organizations of your choosing. When you contribute funds, or other assets like stocks or mutual funds to the account, you’re eligible to take an immediate tax deduction. That account is able to grow tax-free until you designate some or all of the funds towards any qualifying charity. Personally, I haven’t opened one up yet, but I’ve been mulling over it a while. I’m probably overthinking it and will likely just open one this year. If you want to read a debate on the subject check out WCI versus PoF: A Pro / Con on Donor Advised Funds. Any big ones you’d like to add? Any new opportunities that you’ll be investing in this year? Interesting post. It really spans the gamut in terms of volatility. You didn’t just stick to the common sense index fund investing, but also mentioned the more volatile options (bitcoin, angel donations, etc). Though most people likely reading your site have a good amount of financial knowledge, it would have been interesting to see this post put in order of where you should put your money (i.e. max out your 401k/403B, Backdoor Roth for you and spouse, taxable account, and then 529, crowdfunding, etc). Nonetheless, really good list of interesting ideas for those looking for a way to diversify their portfolio! Given that I haven’t had a lot of experience in real estate crowdfunding, can you say how much volatility there is in that investment vehicle? You mentioned gains, but can you lose your shirt, too? (Not questioning the investment, just haven’t done it myself). Since I don’t have any debt, I seem to favour investment in stock market. That is investment I can say I understand to certain extent. What of bitcoin? I am a bit sceptical! Always better to invest in something you understand. It’s smart to be skeptical of bitcoin and cryptocurrency. There’s really no track record, there’s barely even a true commodity, however people are jumping in like crazy. I have to admit, it’s entertaining to watch the whole thing and I’ve invested only a very small portion of my portfolio in it. Comprehensive list. I like the “Your own education” choice. As Physicians we can fall into a rut of only learning medicine. While this is necessary for about a decade, once you are board certified, it’s time to branch out. This keeps medicine fresh and grows skills, but of which are sources of happiness. I would add to the self education that one can open a 529 plan in your own name and use it for education. You can also change the beneficiary of a 529 if you didn’t use all the money for yourself and want to transfer to kids or grandkids. This gets an upfront tax deduction and tax free growth and withdrawal. Great list! Random question from my hubby: donor advisory funds are for those who itemized right? We just take the standard deduction so our charity givings don’t qualify I don’t think. Thumbs up on rental property and start a business. A good way to supercharge your FI journey. My problem with real estate crowd funding investment is that it is taxed at ordinary income levels with returns between 5-15%. The stock market has done quite well this year and as long as you hold on to your investment for more than one year, you are taxed at a much more favorable rate. Am I missing something? Well, it’s usually taxed at ordinary income for debt deals, so some people like to hold them within tax-advantaged accounts like self-directed IRAs. For equity deals that are held for > 1 year, they’re usually taxed at 15% and you get some tax benefits like depreciation and expenses write-offs. So there are some advantages. It’s also just a good way to diversify your investments. A great list! I like how “pay down debt” was listed as the first way to invest. Keep the great posts coming! Hello, thinking seriously about Homeunion for 2018. It appears however, that this is a long term proposition with very little immediate cash flow, (at least with 20% down and @ 30 year loan). Does one rely on appreciation (and their market research) if one were looking at say, a 5 year horizon? Personally, I wouldn’t play the appreciation game with single family homes, especially not where the market is today. I can I only say what I’d do if I were looking at that time frame, and that’s to invest in some real estate crowdfunding deals and in particular some equity / syndication deals.